For the seventh year running we are pleased to be involved with the Free-from skin care awards. 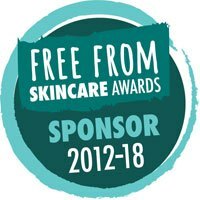 In 2012, building on the huge success of their elder sibling, the Free-From Food Awards, Skins Matter launched the Free-From Skin Care Awards in association with The Green Beauty Bible and the Allergy and Free-From Show. We were proud to be the only sponsors for this inaugural event and have sponsored the event every year since. 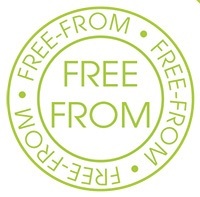 As with the Free-From Food Awards, the Free-From Skin Care Awards are designed to celebrate and encourage skin care manufacturers who create products that exclude as many as possible of the allergens, chemicals, fragrances and artificial additives associated with many of the skin and health problems which plague the 21st century. This is why it is such a perfect synergy for NATorigin with our impressive free-from credentials (including but not limited to the list above) we are looking forward to helping promote other similar brands in the field. You can read all about the awards and the presentation by Janey Lee Grace on the Free-From Skin Care Awards website. "NATORIGIN, FREE-FROM CHEMICALS BUT PACKED WITH NATURE"